The aim of this work is the solid oxide fuel cell (SOFC) thermodynamic study. Particular attention is given to the electric power optimization. The Nernst potential and the over-potentials that are due to the concentration polarization, activation polarization and to the Ohm polarization represent the fuel cell potential. A FORTRAN language program was developed locally for the cell model simulation. From the result analysis, it appears that the developed model allowed understanding the operating condition effects on both potential and power density values. The obtained results show that the cell potential and the power density are proportional to the operating temperature changes and to the oxygen concentration in the oxidant, by cons, they are inversely related to the supply pressure changes, fuel moisture and to the electrolyte thickness. S. Yang, T. Chen, Y. Wang, Z. Peng, W.G. Wang, Electrochemical Analysis of an Anode-Supported SOFC, International Journal of Electrochemical Science, 8(2), (2013), 2330-2344. A. AlZahrani, I. Dincer, X. Li, A performance assessment study on solid oxide fuel cells for reduced operating temperatures, International Journal of Hydrogen Energy, 40(24), (2015), 7791-7797. J.K. Verma, A. Verma, A.K. Ghoshal, Performance analysis of solid oxide fuel cell using reformed fuel, International Journal of Hydrogen Energy, 38(22), (2013), 9511- 9518. D. Saebea, S. Authayanun, Y. Patcharavorachot, W. Paengjuntuek, A. Arpornwichanop, Use of different renewable fuels in a steam reformer integrated into a solid oxide fuel cell: Theoretical analysis and performance comparison, Energy, 51(1), (2013), 305-313. P. Tippawan, A. Arpornwichanop, Energy and exergy analysis of an ethanol reforming process for solid oxide fuel cell applications, Bioresource Technology, 157(1), (2014), 231-239. B. Zitouni, H. Ben Moussa, K. Oulmi, Studying on the increasing temperature in ITSOFC: Effect of heat sources, Journal of Zhejiang University SCIENCE A, 8(09), (2007), 1500-1504. B. Zitouni, H. Ben Moussa, K. Oulmi, S. Saighi, K. Chetehouna, Temperature field, H2 and H2O mass transfer in SOFC single cell: Electrode and electrolyte thickness effects, International Journal of Hydrogen Energy, 34(11), (2009), 5032-5039. B. Zitouni, G.M. Andreadis, H. Ben Moussa, H. Abdenebi, D. Haddad, M. Zeroual, Two-dimensional numerical study of temperature field in an anode supported planar SOFC: Effect of the chemical reaction, International Journal of Hydrogen Energy, 36(6), (2011), 4228-4235. K. Oulmi, B. Zitouni, H. Ben Moussa, H. Abdenebi, G.M. Andreadis, Total polarization effect on the location of maximum temperature value in planar SOFC, International Journal of Hydrogen Energy, 36(6), (2011), 4236-4243. H. Abdenebi, B. Zitouni, D. Haddad, H. Ben Moussa, M.A. George, S. Abdessemed, SOFC fuel cell heat production: Analysis, Energy Procedia 6(1), (2011), 643-650. H. Ben Moussa, B. Zitouni, K. Oulmi, B. Mahmah, M. Belhamel, P. Mandin, Hydrogen consumption and power density in a co-flow planar SOFC, International Journal of Hydrogen Energy, 34(11), (2009), 5022-5031. D. Haddad, H. Abdenebi, B. Zitouni, H. Ben Moussa, K. Oulmi, Thermal field in SOFC fed by hydrogen: Inlet gases temperature effect, International Journal of Hydrogen Energy, 38(20), (2013), 8575-8583. H. Abdenebi, B. Zitouni, H. Ben Moussa, D. Haddad, Thermal field in SOFC fed by CH4: Molar fractions effect, Journal of the Association of Arab Universities for Basic and Applied Sciences, 17(1), (2015), 82-89. H. Abdenebi, B. Zitouni, H. Ben Moussa, D. Haddad, H. Zitouni, Y. Sahli, Inlet Methane Temperature Effect at a Planar SOFC Thermal Field Under Direct Internal Reforming Condition, In I. Dincer, C. Ozgur Colpan, O. Kizilkan and M. Akif Ezan(eds), Progress in clean energy volume II: Novel Systems and Applications, Switzerland: Springer, 567-581 (2015). Y. Sahli, B. Zitouni, H. Ben Moussa, H. Abdenebi, Three-Dimensional Numerical Study of the Heat Transfer on the Planar Solid Oxide Fuel Cell: Joule’s Effect, In I. Dincer, C. Ozgur Colpan, O. Kizilkan and M. Akif Ezan (eds), Progress in clean energy volume I: Analysis and Modeling, Switzerland: Springer, 449-461 (2015). A. Arpornwichanop, Y. Patcharavorachot, S. Assabumrungrat, Analysis of a proton-conducting SOFC with direct internal reforming, Chemical Engineering Science, 65(1), (2010), 581-589. Y. Patcharavorachot, N.P. Brandon, W. Paengjuntuek, S. Assabumrungrat, A. Arpornwichanop, Analysis of planar solid oxide fuel cells based on proton-conducting electrolyte, Solid State Ionics, 181(35-36), (2010) 1568-1576. Y. Patcharavorachot, W. Paengjuntuek, S. Assabumrungrat, A. Arpornwichanop, Performance evaluation of combined solid oxide fuel cells with different electrolytes, International Journal of Hydrogen Energy, 35(9), (2010), 4301-4310. M. Ni, An electrochemical model for syngas production by co-electrolysis of H2O and CO2, Journal of Power Sources, 202(1), (2012), 209-216. R.K. Akikur, R. Saidur, H.W. Ping, K.R. Ullah, Performance analysis of a cogeneration system using solar energy and SOFC technology, Energy Conversion and Management, 79(1), (2014), 415-430. M. Andersson, H. Nakajima, T. Kitahara, A. Shimizu, T. Koshiyama, H. Paradis, J. Yuan, B. Sundén, Comparison of humidified hydrogen and partly pre-reformed natural gas as fuel for solid oxide fuel cells applying computational fluid dynamics, International Journal of Heat and Mass Transfer, 77(1), (2014), 1008-1022. B.H. Choi, H.J. Sung, Effect of a shielded slot on a planar solid oxide fuel cell, International Journal of Hydrogen Energy, 39(24), (2014), 12913-12923. M. Saidi, F. Siavashi, M.R. 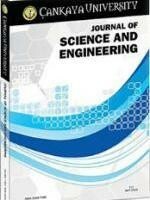 Rahimpour, Application of solid oxide fuel cell for flare gas recovery as a new approach: a case study for Asalouyeh gas processing plant, Iran, Journal of Natural Gas Science & Engineering, 17(1), (2014), 13-25. K. Zheng, L. Li, M. Ni, Investigation of the electrochemical active thickness of solid oxide fuel cell anode, International Journal of Hydrogen Energy, 39(24), (2014), 12904-12912. J.R. Ferguson, J.M. Fiard, R. Herbin, Three-dimensional numerical simulation for various geometries of solid oxide fuel cells, Journal of Power Sources, 58(1), (1996), 109-122. M.M. Hussain, X. Li, I. Dincer, Mathematical modeling of planar solid oxide fuel cells, Journal of Power Sources, 161(1), (2006), 1012-1022. L. Andreassi, G. Rubeo, S. Ubertini, P. Lunghi, R. Bove, Experimental and numerical analysis of a radial flow solid oxide fuel cell, International Journal of Hydrogen Energy, 32(17), (2007), 4559-4574. X. Zhang, G. Li, J. Li, Z. Feng, Numerical study on electric characteristics of solid oxide fuel cells, Energy Conversion and Management, 48(1), (2007), 977-989. C. Bao, N. Cai, E. Croiset, A multi-level simulation platform of natural gas internal reforming solid oxide fuel cell-gas turbine hybrid generation system-Part II. Balancing units model library and system simulation, Journal of Power Sources, 196(1), (2011), 8424-8434. M. Andersson, H. Paradis, J. Yuan, B. Sundén, Three dimensional modeling of an solid oxide fuel cell coupling charge transfer phenomena with transport processes and heat generation, Electrochimica Acta, 109(1), (2013), 981-993. M. Andersson, J. Yuan, B. Sundén, SOFC modeling considering hydrogen and carbon monoxide as electrochemical reactants, Journal of Power Sources, 232(1), (2013), 42-54. D. Saebea, Y. Patcharavorachot, S. Assabumrungrat, A. Arpornwichanop, Analysis of a pressurized solid oxide fuel cell-gas turbine hybrid power system with cathode gas recirculation, International Journal of Hydrogen Energy, 38(11), (2013), 4748-4759. X. Zhang, S. Su, J. Chen, Y. Zhao, N. Brandon, A new analytical approach to evaluate and optimize the performance of an irreversible solid oxide fuel cell-gas turbine hybrid system, International Journal of Hydrogen Energy, 36(23), (2011), 15304-15312. X. Zhang, Y. Wang, J. Guo, T. Shih, J. Chen, A unified model of high-temperature fuel-cell heat-engine hybrid systems and analyses of its optimum performances, International Journal of Hydrogen Energy, 39(4), (2014), 1811-1825. ISNAD Sahli, Youcef , Zitouni, Bariza , Ben-Moussa, Hocine . "Solid Oxide Fuel Cell Thermodynamic Study". Cankaya University Journal of Science and Engineering 14 / 2 (November 2017): -.